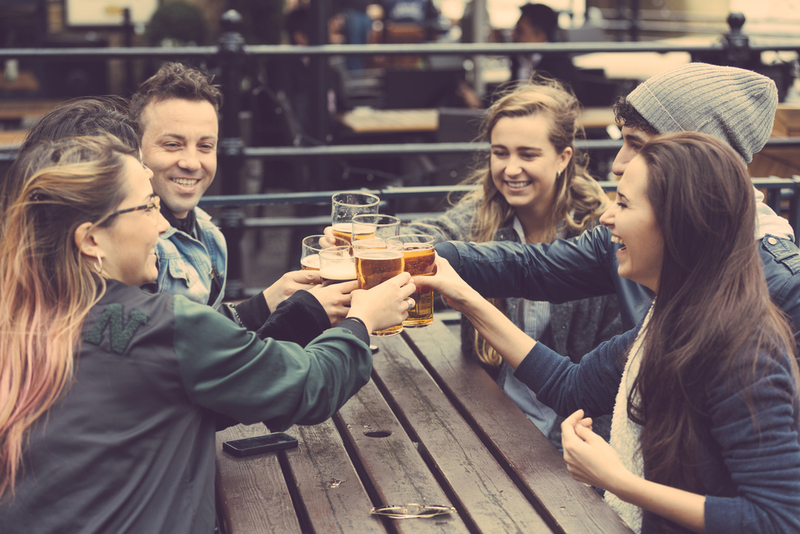 The news may be tough to hear for many drinkers, but the British government recently unveiled new recommendations for alcohol consumption. The recommendations suggest fewer drinks per weeks than have past recommendations. What are the new guidelines? What is the reasoning behind them? And does this new announcement signal a global change in recommended alcohol intake? Let’s find out. The basic new National Health Service (NHS) advice is that regular drinkers should stick to 14 drinks per week. This has long been the standard advice given to women, but it now applies to men as well. Luckily, regular drinkers can still safely get some of their evening drinking in; 14 drinks per week averages out to 2 a night. Not too bad. And since men and women now get the same recommendations, sticking to this schedule will be easier for couples to stick to. Regular moderate drinking is still preferred over quick binges. It would not be safe to have seven drinks twice a week, for instance. Binge drinking is never safe or advisable. Bingeing is associated with high risks of long-term health problems, and it leads to greatly increased risks of accidents, falls, and other physical damages that come with drunkenness. The NHS advises drinker to pace themselves, to consume food with alcohol, and to alternate alcoholic drinks with nonalcoholic drinks. This will prevent drunkenness and encourage a huge variety of healthy lifestyle choices. If you’re pregnant, you should cut out drinking completely. Everything you consume will filter down to your unborn child, and your future child’s body is not yet up to the challenge of dealing with alcohol. You wouldn’t give beer to a toddler, and you should give one to a fetus. This advice is, of course, not new. Pregnant women have been told for years to avoid alcohol, but the new guidelines reiterate this important point. Governments have been offering drinking advice for decades, so why has the NHS recently changed its tune? Science always improves on itself, and more data means that public health experts are always improving their knowledge and advice. The NHS had not updated its policy in about twenty years, so researchers figured it was time for a fresh look at the guidelines that included more information. They took that look, and the new guidelines are the result. Every government in the world offers drinking advice. Why should you be paying attention to the NHS’s guidelines, especially if you’re not a British citizen? The UK’s guidelines are much more limiting than most of the world’s governments’, at least for men (14 per week is a common recommendation for women around the world). One thing the British research takes into account is the link between alcohol and cancer. 21 drinks per week may not be immediately dangerous for men, but it may increase risks for many cancers.